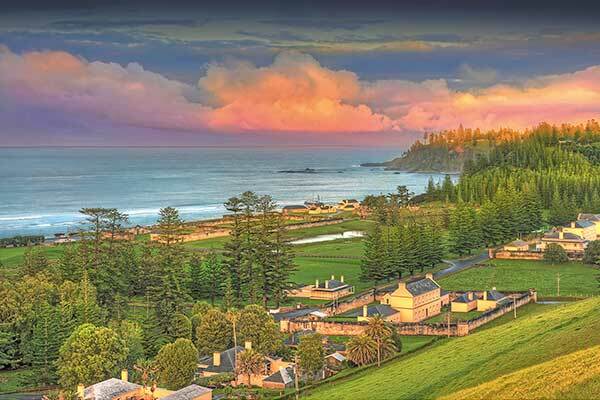 Discover the hidden charms of Norfolk Island, located in the Pacific Ocean between Australia, New Zealand and New Caledonia. Norfolk Island is renowned for its unspoilt natural beauty, the ubiquitous evergreen pine, lush national parks, rugged coastline and its fresh regional produce. Truly a retreat, discover a world where time moves slowly. Only 35 square kilometres in size and with 32 kilometres of coastline, on Norfolk Island you will not find any traffic, railways, ports or harbours. Instead explore the island’s idyllic landscapes via its 80 kilometres of lane ways and walking tracks, but don’t forget - cows still have right of way! Enjoy a relaxing stay at the luxurious Governor’s Lodge Resort that combines history with luxury and is the perfect base to explore the island. Wake up each morning to the idyllic subtropical landscapes of pines, bananas, palms and hibiscus from the comfort of your Executive Lodge. Although the first arrivals were probably from outlying New Zealand islands judging by the stone tools and banana trees left behind, Norfolk Island was ‘discovered’ by Captain Cook in 1774. Serving on and off as a British penal colony until 1855, the final settlement arrived - descendants of Tahitians and of the Bounty mutineers - from the Pittcarin Islands which had become too small for its growing population. Learn more about the fascinating history and cultural riches of this stunning island when you meet the locals including descendents of the Bounty mutineers. 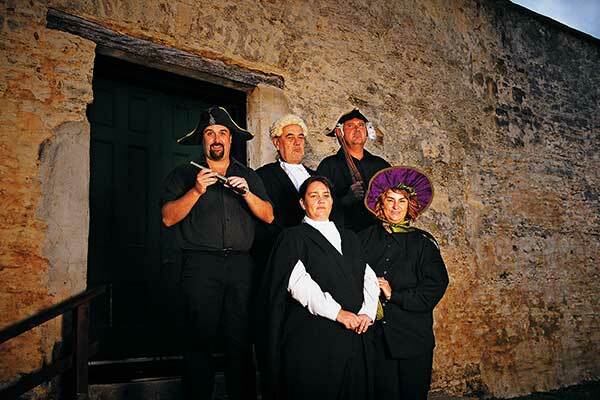 Explore the many World Heritage-listed convict sites and visit the picturesque historic cemetery to uncover the many stories it has to tell.